ABC News executives are smiling wide Tuesday as its evening newscast has broken NBC News’ five-year reign as total viewers champion. 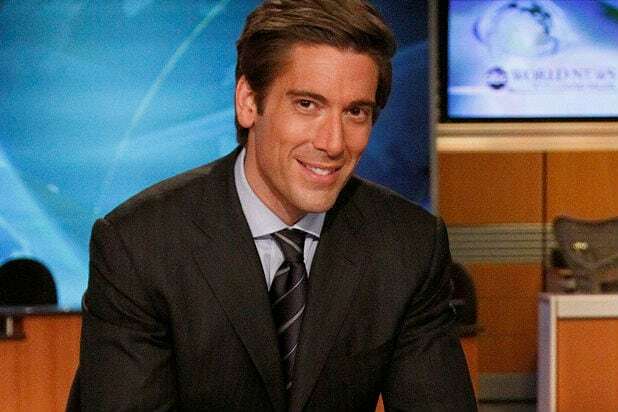 For the week of March 30th, “World News Tonight” with David Muir beat “Nightly News” with substitute anchor Lester Holt, 7,997,000 total viewers vs. 7,913,000 total viewers. WNT also won the advertising-coveted 25-54 demo and the 18-49 demo: the first time in seven years the ABC broadcast has won all three demos. In the 25-54 demo, Muir’s broadcast drew 1,952,000 viewers vs. Nightly’s 1,791,00 viewers; in the 18-49 demo, WNT attracted 1,286,000 vs. Nightly News’ 1,228,000 viewers. Nightly News’ over 5-year streak winning total viewers was inevitably going to end at some point, but the timing of ABC News’ victory is critical as new NBC News/MSNBC Chairman Andy Lack officially starts his job this week. As TheWrap previously reported, one of his first orders of business will be deciding on whether to bring back Williams—currently in the third month of his suspension—or permanently part ways with the embattled anchor. In addition to the ABC victory marking the first over NBC News in five-and-a-half years, its also its first total viewers victory over Holt, who’s been filling in for the suspended Williams. If Holt retakes the total viewers lead, NBC News executives might breathe an air of relief. However, if ABC’s nightly newscast keeps winning in total viewers, it might force Lack’s hand to bring Williams back—after all, NBC’s winning streak took place under Williams. NBC News is keenly aware of what happened in 2011-2012, when “Good Morning America” slowly chipped away at the “Today” show’s total viewers streak. It eventually overtook the show, and has not looked back since, continuing to be the most-watched morning show three years later.